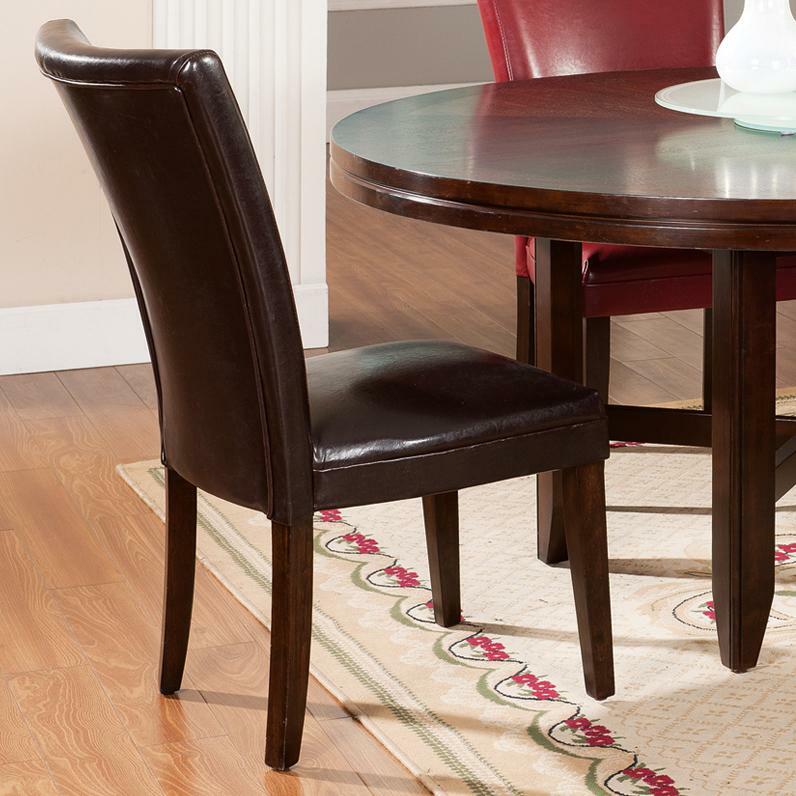 Create a beautiful formal style in your dining area with this contemporary parsons side chair. The high contoured backrest and padded seat combine for smooth, luxurious comfort during meals. Available in a deep red or dark brown leather-like upholstery to mix and match as you please. Pair with the matching round dining table for the complete set. The Glenhaven Contemporary Leather-Like Parsons Chair at Morris Home in the Dayton, Cincinnati, Columbus, Ohio, Northern Kentucky area. Product availability may vary. Contact us for the most current availability on this product. Fabric Options Available in deep red or dark brown upholstery. The stylish Hartford dining collection offers a luxurious, contemporary set in three sizes to make finding the perfect sized set for your home a cinch. The sleek round tables in small, medium, large, and counter height are finished in a rich dark brown hue for a sophisticated feel. Frosted glass lazy susans are included with select tables to create the perfect display space for dishware or home decor. 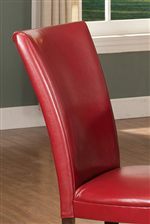 The dark luscious red and brown parsons side chairs feature padded, contoured seats for ultimate comfort. Choose the perfect dining set for your home today with the contemporary Hartford collection. The Glenhaven collection is a great option if you are looking for Contemporary furniture in the Dayton, Cincinnati, Columbus, Ohio, Northern Kentucky area.